Over the years, I've read a lot of books on software engineering. 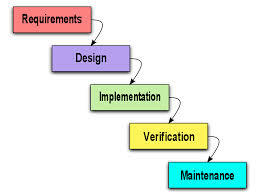 Agile books in particular like to refute the "Waterfall Model". Every time I read about the Waterfall Model, I think to myself: I'm sure there must be companies out there that have tried this approach, but I have a hard time believing some software book would seriously propose it as the best way to write software. It must be the boogie man of software engineering methodologies. Royce’s 1970 paper, which is credited with “inventing” the model, actually identifies it so Royce can criticize it and suggest improvements. He wrote it is “risky and invites failure” because “design iterations are never confined to the successive step.” What Royce suggests as an alternative is similar to what we now call Agile. Sadly, multiple generations of software developers have had to suffer through waterfall projects thanks to people who, we can only assume, didn’t read the entire paper (Pfeiffer 2012) [p. 175]. I think this quote lends credence to my theory that the "Waterfall Model" has been a straw man argument from the very beginning. I know that there were companies that used it, and that there are companies that still do. However, I think this proves that no one ever wrote a book that proposed that the "Waterfall Model" was the best way to write software. I'm convinced that Royce is not the real source of Waterfall. He even promotes a 2 cycle loop to learn from the first cycle findings. The Waterfall model IMHO comes from Taylorism. Is a serial assembly line that follows an strict division of labor, management that thinks and workers that execute, etc. Having worked with professionals beyond sw development, they don't call it "Waterfall" but it is everywhere.